Nursing is the fastest-growing occupation in the U.S. today. Anoka-Ramsey’s Nursing program is the second largest in the state of Minnesota, and consistently ranks at the top of Minnesota’s Nursing programs. Our accredited Nursing program is ranked among the best in the state and boosts a 90+% graduation rate. We also offer the state’s lowest tuition rate. The Nursing Department offers two academic tracks for an Associate of Science (AS) degree in Nursing: a traditional Nursing program and a Licensed Practical Nurse (LPN) program. Four-year bachelor degrees are also offered at each campus. The Nursing program celebrated 50 years of educating nurses in 2017. Nursing students have exceptional learning, and earning, opportunities because of Anoka-Ramsey’s accreditations and professional alliances. Anoka-Ramsey is a member of the Minnesota Alliance for Nursing Education (MANE) consortium. And our Nursing program is accredited through the Accreditation Commission for Education in Nursing. Anoka-Ramsey Community College Nursing students are hosting a Health Fair on Thursday, March 21 in the Legacy Room from 10 am to 1 pm. This event is free and the public is encouraged to attend. Anoka-Ramsey Community College Nursing students are hosting a community health fair, Wednesday, Dec. 5, 10 am to 12:30 pm in the Cambridge Campus cafeteria. The event is free and the public is encouraged to attend. Please help us to update our current records by registering as an Anoka-Ramsey Community College Nursing Alumni! "Anoka-Ramsey is extremely student-oriented. The faculty and staff set students up for success. The Nursing program challenged me without overwhelming me." 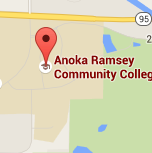 "Anoka-Ramsey has a lot to offer; it has a great atmosphere, great teachers, and great prices! I love the one-on-one interaction between the teachers and the students. The individualized help that the teachers offer makes it easy to excel." 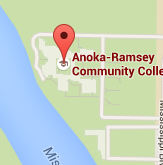 "Anoka-Ramsey offers low tuition costs and a positive environment from both peers and professors. It is a great place to start courses for a career. Everywhere you look, there is someone willing to help you with your studies."